Children come into contact with Children’s Services for a variety of reasons. While most children may be safely supported at home, others need to be looked after in foster care (at least for a period of time). Researchers at the University of York are exploring the experiences of children at home or in care to identify better ways of supporting children and their families in either setting. We are conducting interviews with the parents or carers of around 400 young children who have been in contact with Bradford Children’s Services at some point in the past few years. Our sample of children includes a small group who are also in the Born in Bradford cohort. Alongside these interviews, questionnaires are being completed by the current or most recent social worker of these children and interviews conducted with local authority professionals. The purpose is to see how children are getting on at home or in care, to understand what has led to them coming into contact with Children’s Services and to identify more effective ways of supporting families. Decisions whether to support children at home or place them in foster care are amongst the most difficult taken by social workers. By understanding what happens to children’s health, wellbeing and education after these decisions are made, we hope this study will contribute both to better decision-making and to the development of more effective services for children and families. The study is due to conclude in Spring 2016. Professor Nina Biehal teaches at the Department of Social Policy and Social Work at the University of York. 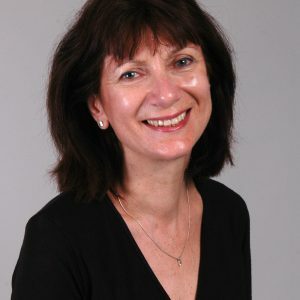 She has conducted many studies of children and young people including research on children in foster and residential care, adoption, adolescents on the edge of care and child protection.